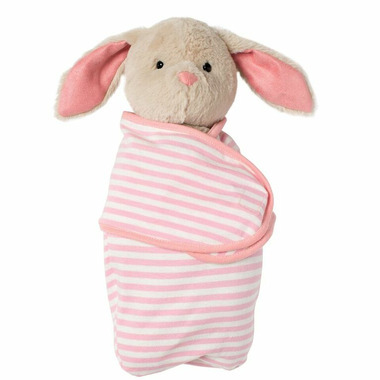 Cuddle up close with the Swaddle Baby Bunny! 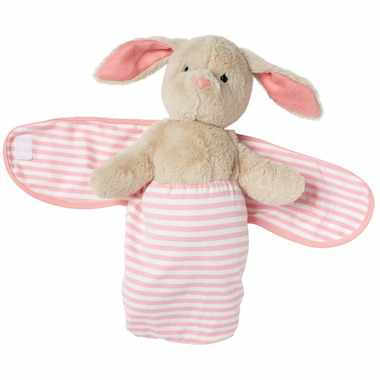 Soft striped blankie swaddles this plush baby bunny with Velcro-like closure. Great for comforting little ones and supporting imaginative role play.